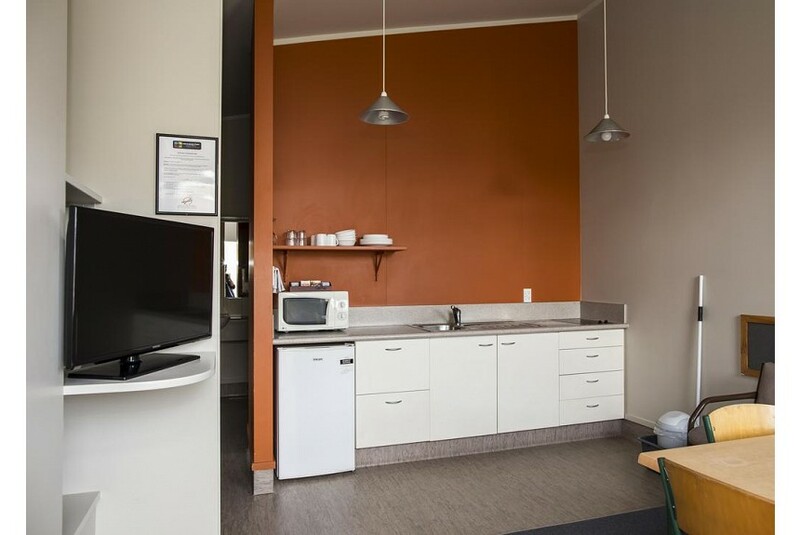 Featuring an outdoor pool and a children’s playground with jumping pillow, this holiday park offers self-contained Hawke’s Bay villas and studios. A restaurant, BBQ facilities, and rooms with free WiFi are on site. Kennedy Park Resort is a 5-minute drive from Napier city center and a 15-minute drive from Napier Airport. The National Aquarium of New Zealand is only 1.9 mi away. Leisure facilities include a large outdoor chess set, pedal cars and a theater-style lounge area with large-screen satellite TV. The games room includes a pool table and air hockey. There is a Playstation and a karaoke machine available for hire from reception. Storkey’s Restaurant & Bar is a family-friendly restaurant offering an extensive dinner menu. Each holiday cabin, motel unit and villa includes a refrigerator and private patio.